The following physical products will be mailed to you. Your ELITE Membership will be setup within 48 - 72 hours. 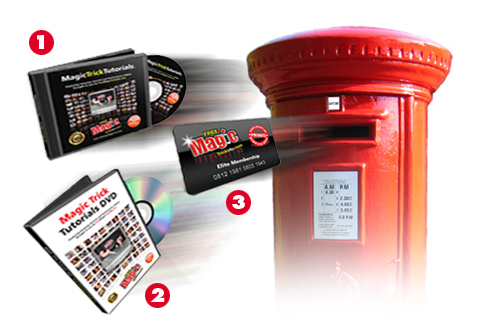 We will use the Username and Email Address you registered with us just before you purchased. Once setup we will email you your login details. Please DOWNLOAD your digital products below. Any problems at all contact me HERE. Download your Magic Trick eBook below. 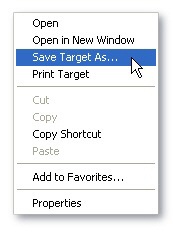 Right click "Save Target As..." on a PC or Control button "Save Link As..." on a Mac. Click HERE to download your BONUS material. Click HERE to download Mikey J's BONUS effect "Forgetful". 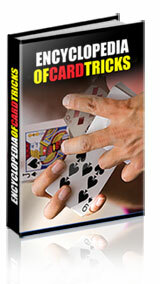 Download the Encyclopedia of Card Tricks HERE.